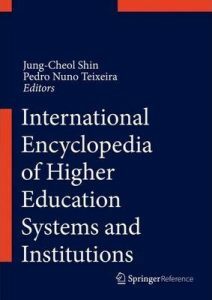 Marek Kwiek has just published a chapter on „Private Higher Education in Developed Countries” in a new International Encyclopedia of Higher Education Systems and Institutions ed. by Jung-Cheol Shin and Pedro Nuno Teixeira (Dordrecht: Springer, 2018, pp. 1-9). This authoritative reference source covers all higher education themes in a comprehensive, accessible and comparative way. It maps the field for the twenty first century reflecting the massive changes that have occurred and the challenges ahead for future research. It provides a rich diversity of scholarly perspectives and covers the entire spectrum of higher education from a geographical, a topical and disciplinary perspective. It is unrivaled in its capacity to go beyond national boundaries and provides indispensible comparative analyses. The chapter is available from Research Gate – or SpringerLink: https://link.springer.com/referenceworkentry/10.1007/978-94-017-9553-1_92-1. The role of private higher education (PHE) varies by global region. Overall, its role has been smaller in developed countries than in developing countries, and smaller than expected following the growth of privatization in the 1980s and 1990s. Exceptions include the USA (with its own PHE history and standards), Latin America (historically highest shares of enrollments), Asia (historically highest enrollments), and postcommunist Central and Eastern European systems (most rapid expansion of PHE). Although it is perhaps unwise to refer to “developed countries” as a whole in light of the cross-regional, intra-regional, and cross-national heterogeneity of PHE, some generalization is possible in relation to PHE in OECD member states. Scholarly research on PHE remains scarce, with theoretical studies in only a handful of countries since the 1980s, most notably in the USA (Levy 1986b; Geiger 1986). Most are national case studies, predominantly descriptive and usually only loosely informed by theory. Aside from cross-national and intra-regional comparative studies in Central and Eastern Europe (Slantcheva and Levy 2007; Silova et al. 2014) and in Africa (Varghese 2006), empirical and theoretical studies of PHE are largely attributable to the Program for Research on Private Higher Education (PROPHE) and its Director, Daniel C. Levy. Much of the limited scholarly literature on PHE in developed countries relates to two European systems: Portugal (where PHE has been studied in detail for about two decades) and Poland (for about a decade). During that period, Portugal has seen the highest level of PHE enrollments in Western Europe, and Poland has had the highest enrollments among European postcommunist transition economies (Teixeira et al. 2017; Kwiek 2018). While the United States and its elite private and for-profit subsectors warrant separate attention, the present chapter compares PHE systems across OECD countries to the extent that data are available.